It’s possible you may not be aware of the U.S. Resilience Project (USRP), an excellent public resource chock-full of supply chain resiliency research and risk management best practices. The U.S. Resilience Project was created to support the resiliency space by providing a centralized hub for proactive professionals to discover best practices and share processes that enable sturdy, resilient supply chains. In this post, we provide an overview of the organization’s mission, initiatives, collection of best practices, and other deliverables useful to professionals treading the waters of supply chain resiliency and risk management. The USRP’s mission to strengthen resilience functions on three levels. Firstly, the project documents the business and economic case for resilience, asserting resilience must be built around the potential for productivity gains, customer satisfaction, and shareholder value—not just loss avoidance. Secondly, USRP captures the best practices, processes, and tools for modern supply chain resilience, especially since best practices in this field are rarely captured and shared openly. Thirdly, the project catalyzes strategic partnerships that leverage resources, assets, and capabilities across the public and private sectors, acknowledging resilience is not inherent but deployed through networks and processes that enable risk intelligence, connectivity, agility, and adaptability. Resilience is a strategic practice characterized by the ability to adapt to shifts and shocks, to minimize their impacts, and seize the positive opportunities that may have been created. Resiliency manages impacts, not triggers. As the future grows more volatile, conventional risk management strategies that rely on accurate prediction are no longer sufficient. Resilience should be justified on value creation, not solely loss avoidance. Resilience is developed through the implementation of best practices and processes (e.g. making assets and interdependencies visible, creating agile and adaptable responses, empowering employee action, stimulating connections between stakeholders, and leveraging shared interests). Resilience best practices need to be captured and shared. Resilience best practices must be implemented prior to a disruptive event, not on the day of the crisis. 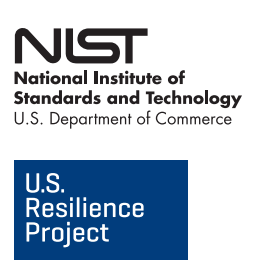 In addition to providing these key concepts, USRP was tapped to work with NIST (National Institute of Standards in Technology—part of the Department of Commerce) to develop relevant case studies that grant insightful peaks into the best practices of the world’s most successful companies. In 2015 alone, USRP has published nearly 20 best practice case studies in cyber supply chain risk management, focusing on companies including Intel, Cisco, DuPont, and NetApp. Soon to come: an executive communication strategy articulating the business case for supply chain risk management and a white paper on Organizational Strategies that will showcase best practices and tools for managing supply chain risks holistically. In a niche segment like supply chain risk management, best practices and tools are rarely packaged and shared willingly, leaving many resiliency solutions to hide in plain sight. Do your supply chain a favor and don’t let this resource hide from you any longer.